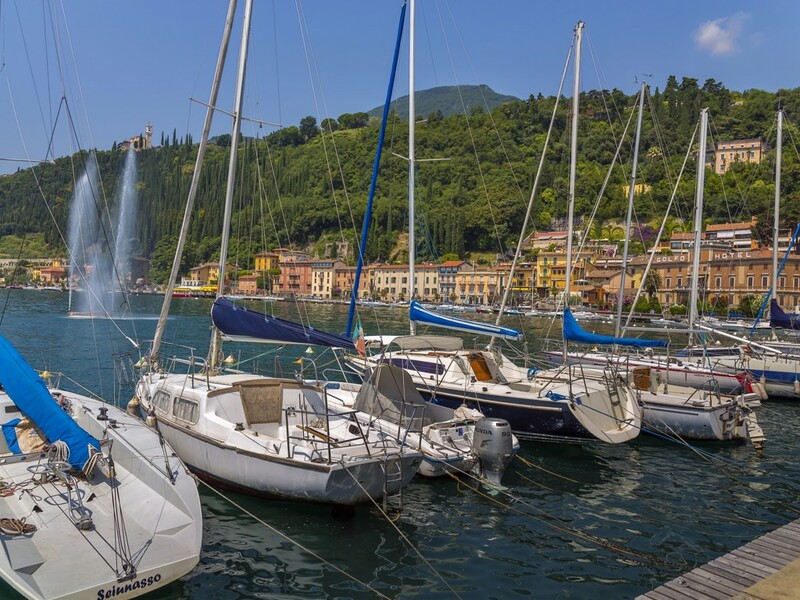 Holidays in Manerba del Garda ↔ Discover Lake Garda! The beautiful beaches of the Manerba area are popular with water sports enthusiasts and sun worshipers alike. 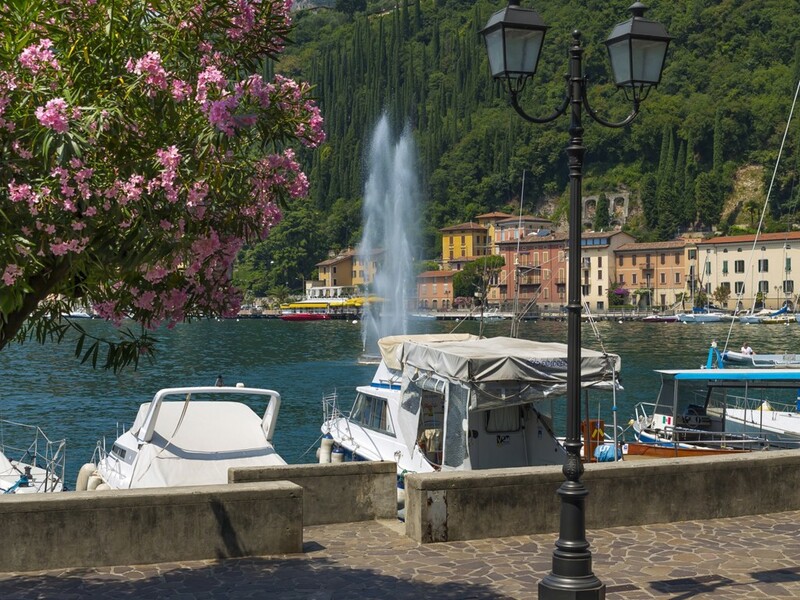 If you drive along the Gardesana along the coast of the lake, you will sooner or later come to Manerba del Garda. 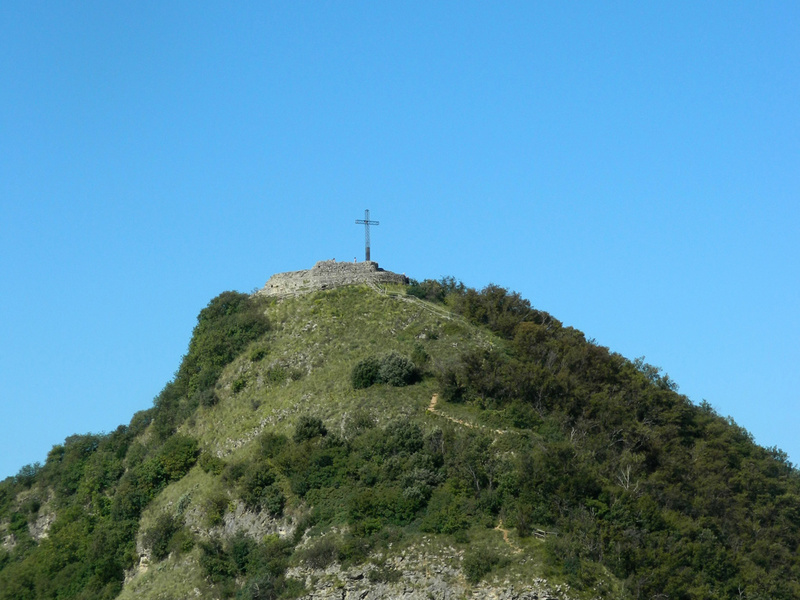 The local area extends from the base of the mountain foothills known as the Rocca di Manerba (215 metres). There is not much left of the castle that once stood on its peak, however, the ruin is well worth a visit. A striking attraction is the rocky reef Sasso below the fortress. The narrow cape Punta Belvedere connects the mainland with the cypress island of San Biagio. 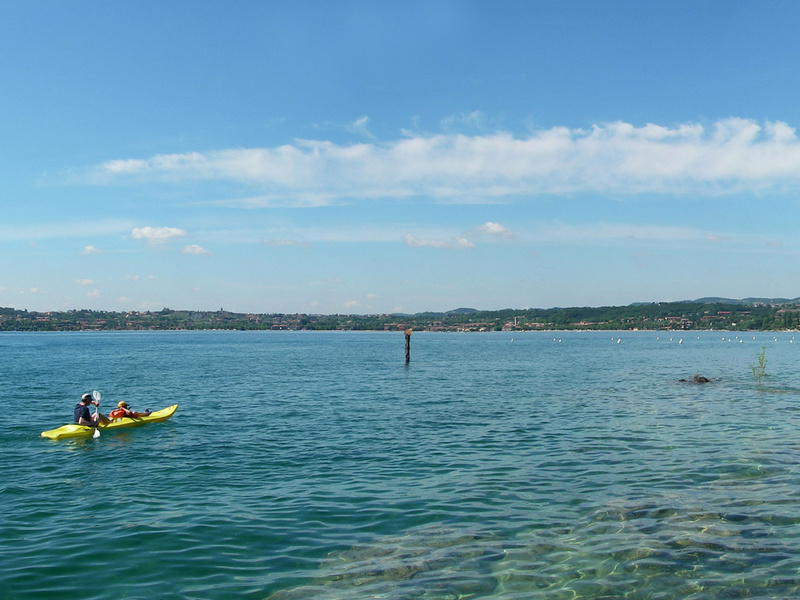 In the vicinity of Manerba, you will find some very beautiful beaches including Porto Dusano, Tòrcolo and Romantica. They are full of sunbathers and water sports activity in the summertime. 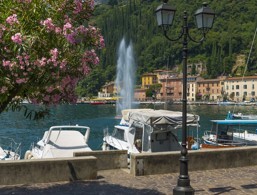 While today's waterfront is quite chic and busy, Manerba has retained much of its traditional rural character inland. Traditional pubs and restaurants offer typical dishes and good local wine, which you can enjoy in a humble and cheerful atmosphere. The landscape around Manerba is characterised by extensive olive groves, vineyards and cypress gardens. The terrain is ideal for leisurely hikes and cycling tours, especially in spring and autumn. 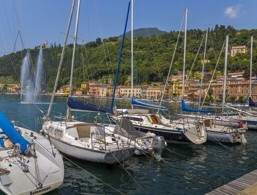 On hot summer days, there is nothing better than a swim, surf or sail out on the lake. Manerba is also known as the land of first-class DOC wines, including Chiaretto, Rosso and Rosso Superiore. Therefore, a large part of the local population is engaged in cultivation. 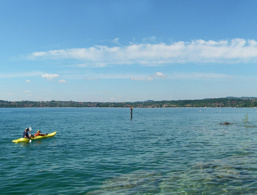 In recent years, large areas have been converted into campsites, especially in the gulf between Punta Belvedere and Punta Portese. 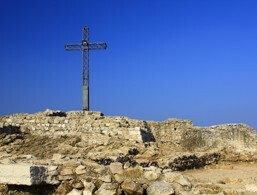 Impressions of Manerba and of the small San Biagio island. 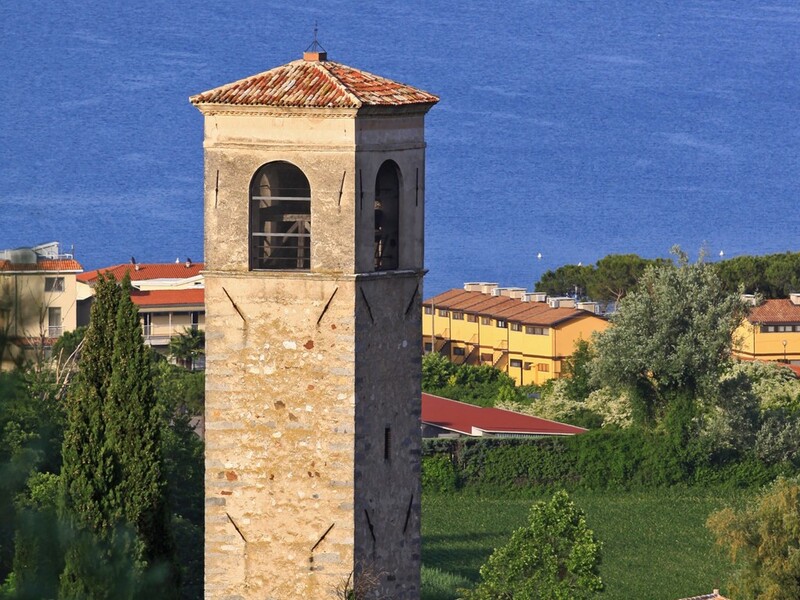 Discover the beautiful holiday resort of Manerba del Garda. In Montinelle, a part of Manerba, you can visit a small archaeology museum, where prehistoric and ancient discoveries from the area are exhibited. The collection of bronze hairpins, parts of colourful mosaics and elaborate paintings are not to be missed. The remains of the castle of Manerba, built by the Lombards and destroyed by the Venetians in the 18th century, are located on a 200-metre high cliff. The 15th-century Santa Lucia church is located in the Balbina district. Its interior is decorated with beautiful frescoes. This sacred building in the district of Pieve Vecchia is one of the oldest of its kind in the entire Valtenese area. Until 1722 it was the parish church of Manerba. 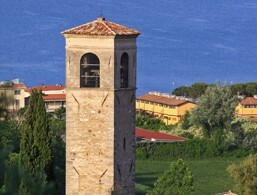 The accommodations at Manerba del Garda were rated 4 out of 5 stars by 28 users.